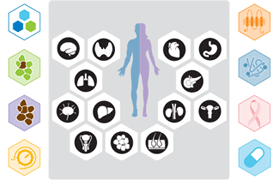 The tissue-restricted expression of the human proteome and transcriptome can be explored in all major tissues and organs in the human body. The list of genes with elevated expression in a particular tissue can be accessed with direct links to the primary data (images). 287 tissue and cell line samples.